In early March 1966, Commander Operational Test and Evaluation Force (COMOPTEVFOR) received a message from Office of Secretary of Defense (OSD) requesting permission for a team of analysts to visit Air Development Squadron ONE (VX-1) in Key West, FL for briefings on sonobuoys used in Julie and Jezebel ASW tactics. Team members were certified to receive Top-Secret information. Being Head of the Air ASW Branch at OPTEVFOR and responsible for projects conducted at VX-1, I was directed to arrange for the team’s visit. CAPT Paul Ruehrmund, Commanding Officer (CO), VX-1 was contacted and provided the OSD point of contact to schedule the team’s visit. Project Officers for the Julie and Jezebel projects provided the requested briefings and hangar demonstrations. The event was soon forgotten. In early April, I received orders to report to OP-711, the Air ASW Section of OP-71, by July 1, 1966 as Assistant for ASW Patrol Aircraft programs. In May, a message from Deputy Director, Research and Development, (OP-07B), RADM Noel Gayler, requested COMOPTEVFOR send a representative to a meeting the next day to discuss support of a high priority SECDEF program in support of Vietnam operations. CAPT Richard Linnekin, Director of the Tactical Air Warfare Division, was directed to attend. However, since “buoys” were mentioned in the message, CAPT Linnekin requested that I accompany him. Arriving at RADM Gayler’s office we found several major and brigadier generals of the Army and Air Force, as well as another Navy admiral, RADM Frederick Michaelis, present. Being a commander and the junior attendee, I took a seat in the back. RADM Gayler opened the meeting advising attendees they were representatives of their services in the commencement of a Top-Secret program directed by SECDEF Robert McNamara to block the flow of weapons and other materiel from North Vietnam to Viet Cong forces in the Republic of Vietnam (South Vietnam). It was a tri-service program to be conducted at top priority, BRICK-BAT “OH ONE.” RADM Gayler patted or pointed to two 1-1/2” thick documents on his desk many times while stressing the urgency of deployment of the system described in the documents. The Navy was tasked to develop a test plan for components of the “system.” All services were to provide components developed by their services to OPTEVFOR for evaluation. I received RADM Dornin’s approval for a team of OPTEVFOR and VX-1 personnel and actions to be done relative to formulation of the test plan. He called in the Administration Officer and directed him to issue travel orders for me and a team to be identified by me to travel to “places with times and durations to be identified,” - - basically open-end travel orders. The next 24 hours were spent: reading the two Top-Secret documents; and identifying LT Thomas T. Cole, and Staff Statistician, Arthur DelPiore, of OPTEVFOR and six VX-1 officers, experienced in T&E planning, as my test plan team. Bureau of Naval Personnel was requested to provide two yeomen, cleared for access to Top-Secret material for clerical support to the team. Since Naval Air Development Center (NADC) was responsible for development of one of the major components of the system, the Acoubuoy, team members were ordered to assemble there for test plan formulation. The first problem faced was learning the status of development of Army and Air Force components of the system and where they were being developed. The two concept plans, one produced by Institute of Defense Analyses and the other by Mitre Corporation, provided general descriptions of components and their intended use, but provided no detailed specifications upon which to measure performance and determining acceptability for service use. I visited two Navy officers at DCPG, while traveling to NADC, who identified the facilities where Army and Air Force components were being developed and names of points of contact. They had no knowledge of the status of developments being conducted. They also introduced me to LGEN Stardbird. I told him my intention to do test plan formulation at NADC and he asked me to keep him advised of any problems I had. The Army was working on three items at Aberdeen Proving Ground: Button Bomblet, basically like a cap, like for a cap pistol, that emitted a “pop” when stepped on; Gravel, an explosive, camouflaged to look like gravel, designed to blow tires on motor vehicles; and Dragontooth, a land mine that would disable a tank or smaller vehicle. The conceptual plan envisioned the “pop” of the Button Bomblet would trigger the sonobuoy receiver in a monitoring aircraft of activity at the site of the Acoubuoy. Attack aircraft would be vectored to the contact. These devices were ready for testing, although not in final camouflage form. The Air Force was working on a bomb, Bushwhacker as I recall, that exploded before ground contact. It was designed to knock down jungle foliage so attack aircraft could see their targets. They were also developing a detection device, akin to an Acoubuoy, that was dropped from above 5.000 feet, penetrated the ground, and sent seismic signals to an airborne receiver. Putting the test plan together was a matter of designing individual tests for various components to determine if specifications and performance criteria were being met. This included determining support personnel and services, such as vehicles, aircraft, special equipment operators, and technicians for components. Our statistician determined the number of runs needed to establish validity of results. Working 16-18 hours a day for two weeks resulted in a proposed test plan. The final problem was we were planning to do something that was forbidden in all DOD and Navy RDT&E directives. These directives stress elimination of concurrency of development phases (Basic Research, Exploratory Development, Advanced Development, Engineering Development, and Approval for Service Use) and following a “try before buy” criterion. We hoped to overcome this problem by a cover letter on the test plan, requesting approval of “interim testing under environmental conditions and expected situations that would provide early identification of system deficiencies.” We were flattered this was accepted within participating commands and, after plan approval by LGEN Starbird, up to SECDEF himself. Delivering the plan to RADM Gayler became a problem when I estimated $10M would be needed to execute it. He hit the ceiling and only RADM Michaelis’ presence saved me when he asked to take me and the plan back to his office and review it. He did and told me he thought it had everything required in it. We returned to Gayler’s office and Michaelis gave him the same appraisal he had given me, explaining funding should be identified by SECDEF and early testing would be mainly on Navy devices. RADM Gayler agreed and called his secretary to have the plan couriered to LGEN Starbird. I departed for Norfolk. I cancelled the movers. Then called CAPT Ruehrmond at VX-1 to provide TAD orders to Panama for LCDR Robert Gradel ’53 to survey jungle test sites. (Bob had researched possible test sites during plan formulation, and proposed it be in the Canal Zone.) My next call was to LGEN Starbird’s office to advise him of my actions and request an area clearance for Bob be sent to CINCSOUTH. Tom Cole and I departed for NADC to arrange for technician support. My intent was to begin testing with the Acoubuoy and Button Bomblet, both of which were in forms capable of being tested. Three days later I had a call from Bob Gradel reporting he had been picked up by military police and was in the Chief of Staff office at CINCSOUTH Headquarters at Quarry Heights. When questioned about why he was in the Canal Zone, he had responded “It’s classified. I can’t tell you.” I called LGEN Starbird immediately to find out if the area clearance had been sent. He said he forgot and would call GEN Short, CINCSOUTH, right away. A short time later Bob called me again saying the Chief of Staff had been called into the CINC’s office then returned and had a LCOL come to his office. He then called Bob into his office advising him the LCOL would assist him in anyway needed. He had not learned what Bob was doing there except it was a highly-classified mission. The MPs were dismissed. I learned later Bob asked the LCOL for a team of workers with bolo knives to survey the jungle. He was taken to Supply, getting 20 bolo knives, and then to the Civilian Personnel Office where he got some Panamanian workmen. The workers knew where Bob would find the type jungle environment he was looking for - - high overhead and lower tree cover, few trails with lots of underbrush. The tropical rains needed were evident daily. Four day’s work and the 20 bolo knives produced a preliminary test site. CINCSOUTH had points of contact assigned at Fort Amador, an Army COL, and at Howard AFB, a USAF LCOL. The latter arranged for office spaces for project officers and working spaces for technicians in a Howard AFB hangar. A couple of jeeps, a carry-all, a stake truck, and a pickup were checked out of either the motor pool at Fort Amador or at the AFB. These were used for transport to and from the test site. A portable power generator was transported daily to and from the site. A trailer to house testing and communication equipment remained secured on the site. All vehicles were parked overnight inside the hangar. Housing of personnel was at the Panama City International Hotel, with rental autos used between the hotel and AFB. Uniforms were not worn. I felt we would be fairly non ’descript in the area. Four NADC technicians, test equipment, tools, Acoubuoys for testing, and spare parts arrived by a USAF transport directly from Johnsville, PA. The six VX-1 Officers arrived aboard a P-2V that was used in Acoubuoy launch testing and buoy monitoring tests, returning to Key West two weeks later. There were no problems in launching an Acoubuoy and the parachute holding it in tree tops; however, deployment of the microphone downward would snag going through branches at times. The Button Bomblet had shortcomings. Tropical rains muddied roadways and paths, thereby not being a firm enough surface for the cap to fire when stepped on. Deploying a parachute-retarded sonobuoy to catch in tree tops requires flights at 500 feet or below which renders the aircraft highly vulnerable to small arms fire and SA7 or SAM7 shoulder-launched missiles. With P-2Vs envisioned to drop and monitor the Acoubuoys, we recommended they be armored against such weapons. Our attrition estimate was 25 to 50 percent on such flights unless aircraft were well armored. Frequent reports were sent to LGEN Starbird about these problems. My initial group of VX-1 officers began changing during the summer due to orders to new duty stations or to work on their assigned projects at VX-1. Changes in NADC technicians and other support personnel also occurred. One NADC technician was found to be an alcoholic and he was replaced. Another technician turned out to be a great leader amongst their group and did a superb job. He ensured spare parts for buoys were always on hand, or on order, so testing had few interruptions. He started a “night check” which repaired failed buoys and equipment overnight, in several cases. A few modifications to improve Acoubuoy performance were accomplished onsite. I went to Washington providing direct reports to Starbird at DCPG and Gayler in the Pentagon several times. On one of these visits Starbird scheduled me with an appointment with the Director of the President’s Scientific Advisory Committee (PSAC) in the Executive Office Building to describe problems we faced in the jungle environment on detection systems. He took a few notes, asked a few questions and thanked me for the visit. After months of testing and retesting in the jungle, LGEN Starbird sent me a message he was coming down accompanied by members of the PSAC. I advised RADM Dornin, suggesting he might come a day earlier, which he did. Dornin found a visit to the test site to view testing educational and interesting, and endorsed the presentation planned for LGEN Starbird and PSAC members. Next was a trip to the test site for demonstrations. They witnessed proper operation for a couple of runs then the 2 pm rain came making it impossible to detonate a Button Bomblet and environmental noise was activating the buoys. A Harvard PHD (who had worked on the trigger for the A-Bomb) said the explosive in Button Bomblets could be made more sensitive, but he was concerned about handling it in an aircraft, launching it from 500 feet, and expecting it to fall through the treetops to the ground without exploding. We returned to the briefing room with everyone wet and muddy. After answering a few questions, we were asked by LGEN Starbird to leave the room, which surprisingly included my boss, RADM Dornin. Over an hour later, Starbird and the PSAC members came out and thanked me for the information provided and an “eye-opening” demonstration of problems that must be solved. He said we were doing a splendid job under difficult conditions. In mid-November, we made our final report to LGEN Starbird. Most of it related to successes and failures mentioned above, which he knew from earlier messages and his visit. The Acoubuoy was considered feasible for its intended use provided specifications were changed to include suppression of interfering noise; installation of a longer life battery; installation of a selectable tether length for the microphone to permit use in different tree height areas; and streamlining a heavier weight microphone to reduce hang-ups deploying through thorough trees. The Button Bomblet was determined to be unsuitable for its intended use. Operational considerations submitted recommended use of a minimum crew aircraft for monitoring the Acoubuoy field and equipping it with transceivers to relay buoy signals to a ground control center capable of spectral analysis and signal identification. RADM Dornin informed me earlier that he was going to establish a OPTEVFOR detachment at Howard AFB for T&E testing in the Canal Zone in December. Following submission of our final report, my group from VX-1 and NADC could be returned home when no longer needed. I had NADC personnel pack up all their equipment, spare parts, and scheduled a USAF transport to fly them to Johnsville via Key West to drop off the VX-1 guys. Art DelPiore left by commercial air for Norfolk. Everyone was home before Thanksgiving, except Tom Cole and me. We remained to await arrival of naval officers forming the detachment. We went to the Fort Amador Officers Club for Thanksgiving Dinner, where our point of contact COL invited us to return for the Army-Navy football game. Two Navy rooters against 200 Army rooters seemed like acceptable odds, so we attended. Army won, but bought all the drinks while taunting us. December 7th the new officer-in-charge of the detachment arrived. He was a captain accompanied by two lieutenant commanders. We introduced them to the AFB and Fort Amador points of contact and had them sign for vehicles we still had, except one rental auto we were using until leaving on a commercial flight the next day. That ended our time with the Army. I reported for duty in OPNAV January 7, 1967. As an epilogue, Igloo White faded away as a program achieving little success in blocking the flow of weapons to the People’s Army of Viet Nam (PAVN), aka the Viet Cong, in South Vietnam. The Tet offensive was the period of major North Vietnam forces entering the war. Acoubuoys and the Seismic detector (ADSID) became the main detection components along the Ho Chi Minh Trail. A ground control center was established at Nakhon Phanom, Thailand to receive detection transmissions from monitoring aircraft. In 1970 field monitoring was by small, remotely controlled aircraft. The Bushwacker bomb was replaced by Agent Orange as a defoliate with disastrous results to human health. I am unaware if Gravel, which could take the foot off a man, or Dragontooth, which would kill a man, were ever employed. In 1967, VO-67 a squadron of 12 OP-2E aircraft was formed, with CAPT Wallace Sharp CO, to fly missions dropping and monitoring sensors along Ho Chi Minh Trail. In view of their vulnerability to small arms fire and SA-7 missiles, the P2V Modernization project had provided armor to vulnerable parts of VO-67 aircraft. Nevertheless, they lost three aircraft and 20 people in their 500-day existence. One of the OP-2Es lost was piloted by a friend of mine, Paul Milius, who kept the aircraft airborne until his crew parachuted in a safe area. He died in the ensuing crash. He was awarded the Navy Cross and a Arleigh Burke destroyer was named for him in 1996. During the Tet offensive VO-67, laying a sensor field around Khe Sanh, was a major asset in its defense. 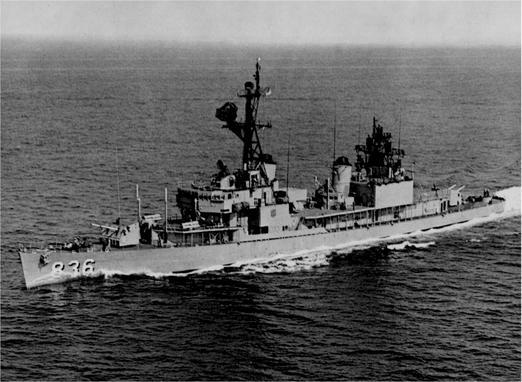 VO-67 was decommissioned shortly thereafter. Years later it received a Presidential Unit Citation. Following retirement in 1969, LGEN Starbird was named an Assistant to the Director, Defense Research and Engineering, Test and Evaluation in OSD. One of his first actions was amending DOD directives regarding acceptance of materiel for service use to authorize interim testing under operational conditions during development. RADM Gayler became a four-star as CINCPAC and RADM Michaelis became a four-star as Chief of Navy Materiel. Bob Gradel became CO of a P-3 squadron and rose in rank retiring as captain. Two VX-1 members of the planning team and initial test team became rear admirals. Art DelPiore opted to leave OPTEVFOR a year or so after his work in the Canal Zone to teach Probability and Statistics at Old Dominion University. Tom Cole rose in rank to captain and was on national television many years later flying his private helicopter from his home in Los Altos, CA across San Francisco Bay to his work place at Livermore Laboratories. The OPTEVFOR T&E detachment formed in December 1966 was 25 officers and office personal. When Army components began arriving for testing over a 100 Army officers, enlisted men, and civilian technicians came with them. As Air Force components arrived, there was a similar size group. I do not know if the Navy detachment retained T&E authority for Igloo White, as originally planned, or if it transferred between the services. What our small group accomplished in 1966 was never recognized, reportedly, due to TOP-SECRET (NEED TO KNOW) security restrictions during that time. After plebe summer and the academic year began it wasn't long before I realized that my roommate, Bob Rowe, didn't possess any of the attributes of a human being until after breakfast. This didn't present any problems, however. It just meant that we didn't communicate in any way until after breakfast. At reveille Bob would strip this bed and retire to his desk for a few more minutes sleep before starting a new day in which to excel. Of course, it would have been cruel to expect him to report "ALL TURNED OUT" when he was in charge of the room. This was a small chore for me but a great undertaking for Bob, so I performed this task every morning for 4 years. Later plebe year, as the days grew shorter and the nights colder, I began to experience difficulty in getting a comfortable night's sleep with the windows all the way up. It seems that the comfort zone for sleeping in his home state of Iowa was considerably lower than in Mississippi. But for whatever the reason when the lights went out the windows went up - all the way. One morning after an uncomfortable night I went for Bob's bed (after breakfast of course) removed one of his blankets and said, "Now I have three blankets. Whatever you can stand with one blanket I can stand with three. You are in charge of windows and I will be in charge of blankets." Bob was a GREAT roommate, and we roomed together all 4 years and never had another disagreement. As an added note, I have fulfilled the prophecy written about me in the LUCKY BAG which stated, among other things that: "His great ambition was to retire to his beloved Mississippi Eldorado and spend the rest of his life recuperating from the strain of education." Nothing could be finer than to be a ‘49er!